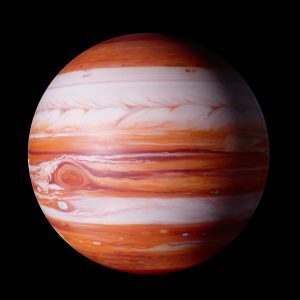 The gas giant Jupiter shocked the tight knit Solar System community today when he announced that he self-identifies as a sun and will begin immediate transformation. “It’s true” said the former gas giant. All my life I’ve believed I was different. That I didn’t fit in with the other planets or gas giants. Throughout my life, I have grappled with my own identity, who I am. As a young gas giant, I often felt ambivalent about myself, in fact, confused. Yet, from my early days until the present day, I acknowledged some feelings, a certain sense separated me from others. At a point in every gas giant’s life, one has to look deeply into the mirror of one’s soul and decide one’s unique truth in the Solar System, not as we may want to see it or hope to see it, but as it is. And so my truth is that I am a sun. I will immediately begin transitioning to a sun. Reaction to the surprise announcement was swift. “I suspected as much” said his close gas giant neighbor Saturn. He just didn’t fit in at the gas giant barbecues. I used to catch him staring at my rings. Once he asked me if I would penetrate him with my rings. I was a little creeped out about that but let it pass. But after that I made sure to keep him away from Uranus. I wish him luck in his new identity. Though personally I think he’s crazy. What’s wrong with being a gas giant? Sure being a sun is nice. All hot and full of energy. But we giants are beautiful in our own right. Sometimes I look at Neptune, so blue, so beautiful and I am overwhelmed by feelings I am ashamed of. I mean not that I would every do anything to Neptune. I just like looking at him. So blue. So smooth. Oh god why doesn’t Neptune love me? I just want to touch him! Mars, Jupiter’s other neighbor, expressed shock at the announcement. “I never suspected a thing” he said. He always seemed happy as a gas giant. Perhaps it was because my view of his true nature was blocked by the asteroid field. But no matter the reason I never suspected anything. Though one time he did ask me for Uranus’ phone number. Even then I didn’t suspect anything. I just thought it was a gas giant-ice giant thing. It could have been worse. At least he didn’t ask me for Neptune’s number. That would have led to a brawl with Saturn. The strongest reaction came from the Sun. “He’s a jackass” said the Sun. Just because he feels he is a sun does not mean he is. You are what you are. He’s a gas giant. Nothing wrong with that. Does he think it’s easy being a sun? It’s a lot of work I tell you. Lots of responsibility. I have to make sure I heat the Earth just right. And are they grateful? Nope. Sometimes I get pissed off and throw a solar flare or two their way just to disrupt their communication satellites. I tell you it’s fun playing with them. The most positive reaction to Jupiter’s announcement came from the dwarf planet, Pluto. Well that’s just great except that it’s RACIST. Don’t you know that gender’s a construct? I am so backward LSP. I feel shame over this.